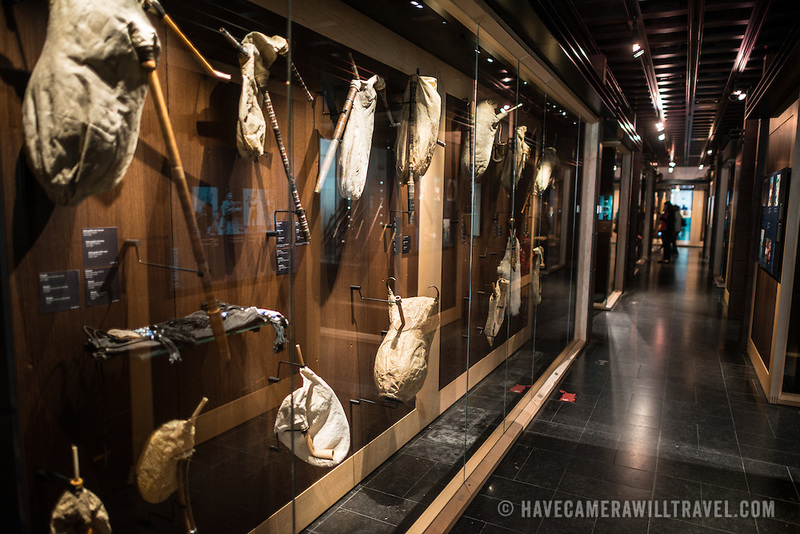 Variations on traditional bagpipes on display at the Musical Instrument Museum in Brussels. The Musee des Instruments de Musique (Musical Instrument Museum) in Brussels contains exhibits containing more than 2000 musical instruments. Displays include historical, exotic, and traditional cultural instruments from around the world. Visitors to the museum are given handheld audio guides that play musical demonstrations of many of the instruments. The museum is housed in the distinctive Old England Building.